In a bowl, combine biscuit mix and Italian seasoning. In another bowl, whisk eggs and milk until blended. Add to dry ingredients, stirring until moistened. Stir in the cheese, pepperoni, tomatoes, and peppers. Preheat griddle to medium heat and lightly grease. 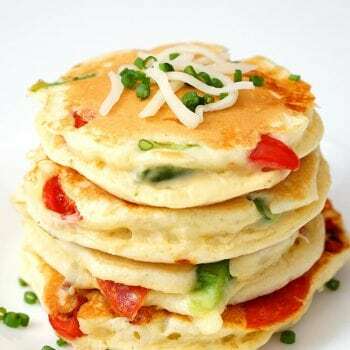 Pour batter by 1/4 cupfuls onto griddle; cook until bubbles on top begin to pop and bottoms are golden brown. Turn, cook until second side is golden brown.